You cannot prevent disaster, but you can recover from it. Managed Backup and Disaster Recovery prepares your business for everything. Should a server crash, cyber-attack or even a natural disaster such as a fire, flood, or tornado wipe out your network, it could be the demise of your business. Give yourself peace of mind knowing you’re always ready to do business. With our team of experts, secure data center and unlimited storage, you can literally run your entire business remotely through our servers. Data alone won’t produce goods, perform services, or generate revenue. Even if you have the best in secure remote servers and virtualized workstations, a total loss of building, personnel, or equipment affect your ability to remain open. You cannot predict the future, but you can plan for it. We analyze your current and future needs and create a customized backup and recovery plan including hourly and daily backups and secure remote application access. Our business continuity experts will assess your current disaster recovery plan and identify issues or opportunities. If you don’t have a plan — no problem. We will conduct a comprehensive risk assessment and construct the best plan for your operations, goals and industry requirements. Your data is immediately protected using our top-tier recovery solution, Managed Backup and Disaster Recovery. 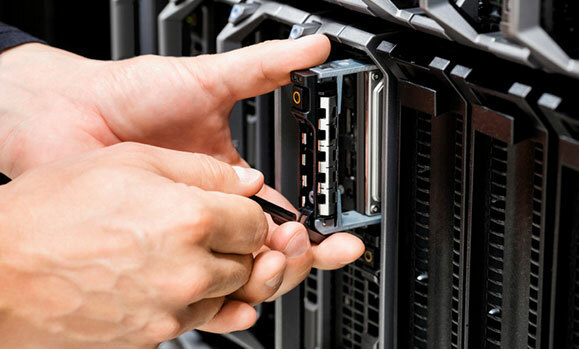 All vital servers and workstations are backed up at the file and image level, routinely monitored, and housed both onsite and off in our secure data center. Your plan is regularly tested to make sure recovery capability keeps pace with operations. We swarm in with backup power, communications, office space, computer systems and even transportation for displaced workers to resume normal operations. By acting fast, your business can be one of the few that survive an otherwise crippling disaster. Once the situation has resolved, you can choose to retain the replacement equipment at a substantial discount. That way, you won’t have to add the madness of shopping for hardware and migrating again to an already stressful situation. If you want new equipment, however, we’re happy to help you find what you need quickly and at a fair price. Can your data survive any calamity? Our secure data center was built to withstand an F2 tornado and keep on humming. If disaster strikes, you’ll be able to spin up copies of each workstation and get back to work — fast.